Washington Square, one of the five squares William Penn laid out in his 1682 survey of Philadelphia, was then simply called the southeast square, for Quakers did not believe in naming places after people. In 1833, however, it was renamed to honor the first President. 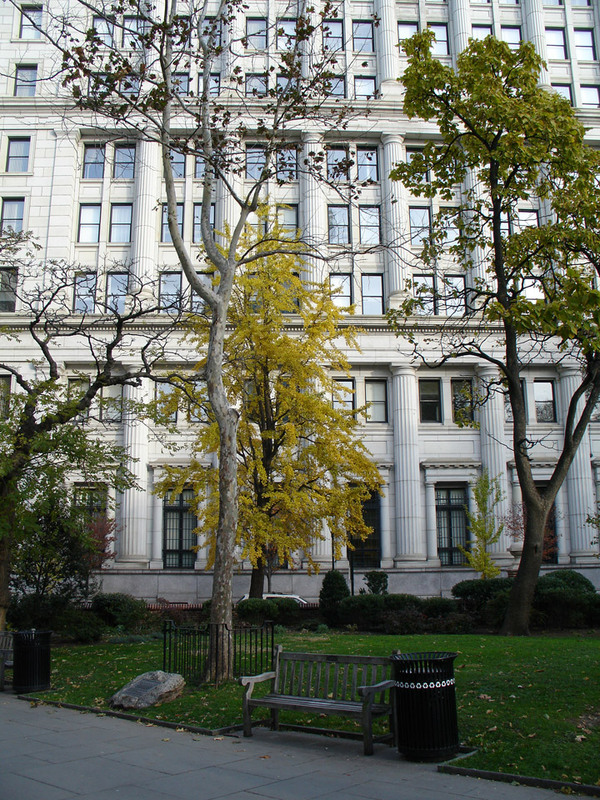 The trees in Washington Square are older, wider-spreading and taller than those in Rittenhouse or Independence Squares, and the square itself has a more open, spacious quality — but then, it started as a pasture. Later the square served as a burial ground — potter's field — and many American and British soldiers of the Revolution lie here, along with victims of the yellow fever epidemic of 1793. 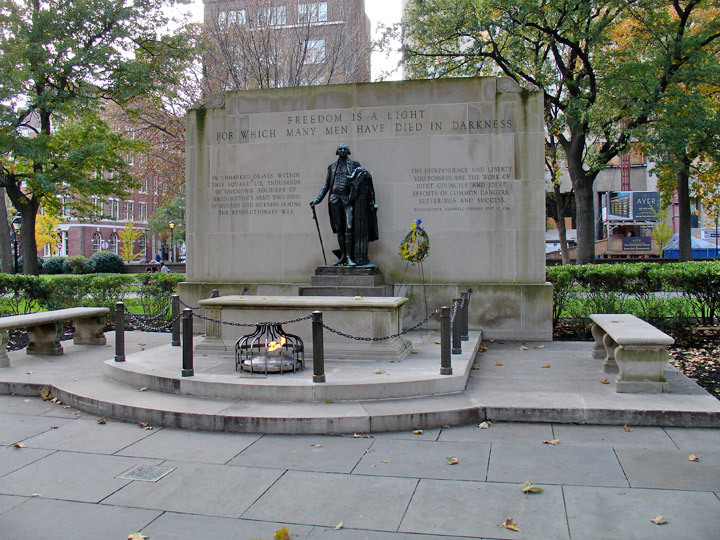 The Tomb of the Unknown Soldier lies within Washington Square, one of the five public parks drawn up by William Penn in his 1682 blueprint for Philadelphia. Shortly after the square was laid out, however, it was being used for a wholly other purpose — as a potter's field. 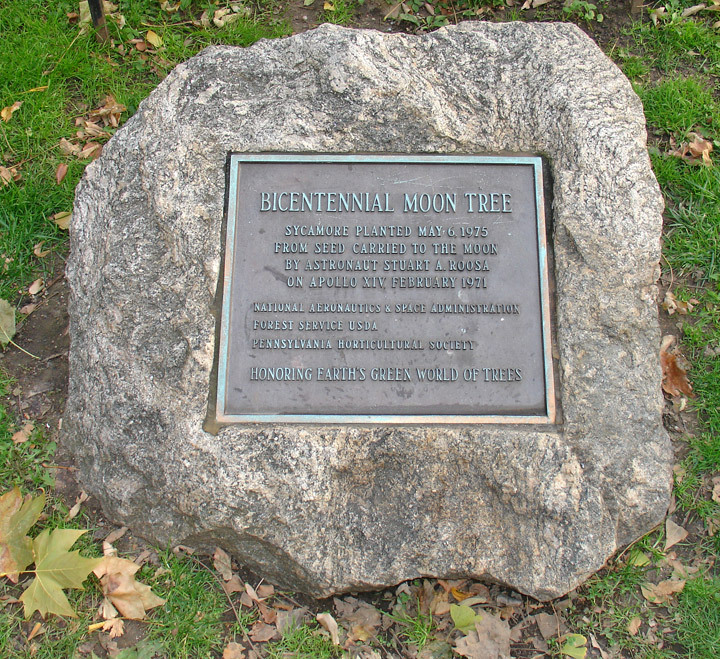 Burials in Washington Square, then known as Southeast Square, started in 1706 and continued for nearly nine decades. 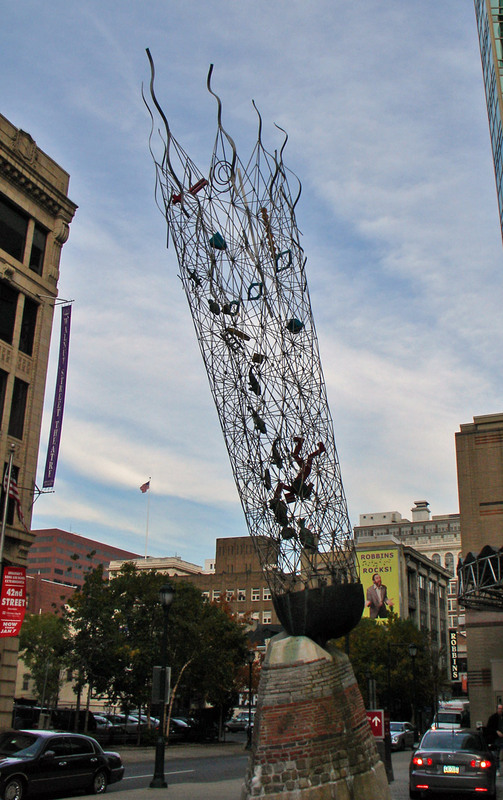 Initially located on Philadelphia's westernmost settled area, the square proved an out-of-the-way repository for the impecunious as well as a permanent residence for deceased "strangers" — those unknown visitors to Philadelphia whose stay proved to be longer than expected. Others, too, were buried in the square on occasion. 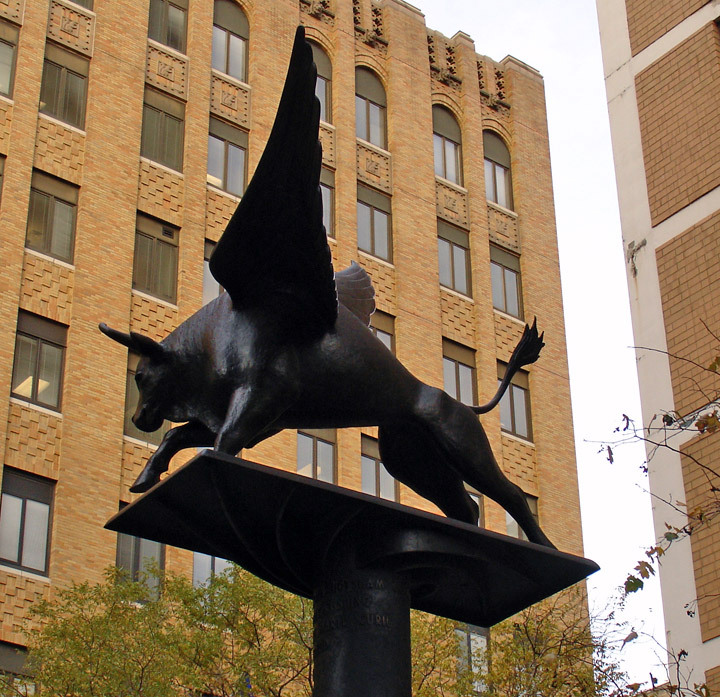 For example, the Joshua Carpenter family, a prominent Philadelphia clan, had maintained a private family burial ground in the square's center owing to the suicide of a family member — this kept her from being buried in a church cemetery. Amid this funerary setting grazing cows and at-play urchins would blithely go about their business. The living and the dead have long commingled in the square. Over the years, the square has been used for as a fishing hole, cow pasture, hayfield, duck hunting spot and, appropriately enough, revival meeting grounds. 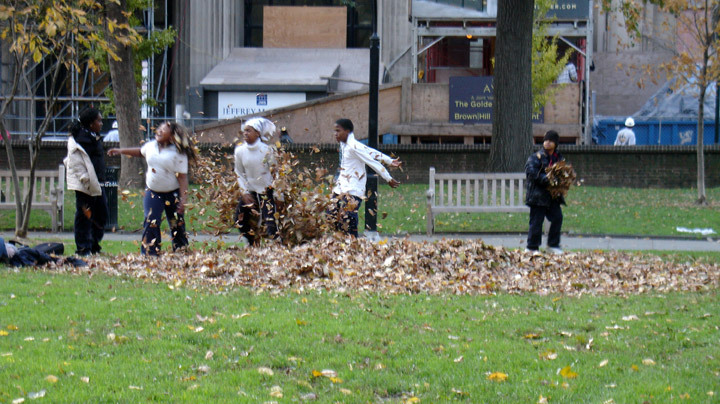 19th-century historian John Watson reports that slaves would be allowed to congregate in the square during holidays, sometimes numbering a thousand, holding dances and honoring the "sleeping dust below." By 1776, that "sleeping dust" would be jolted by the first Revolutionary War casualties. A letter of John Adams, dated the 13th April, 1777, captures the somber mood in the square. "I have spent an hour this morning in the Congregation of the dead. I took a walk into the 'Potter's Field,' a burying ground between the new stone prison and the hospital, and I never in my whole life was affected with so much melancholy. The graves of the soldiers, who have been buried, in this ground, from the hospital and bettering-house, during the course of last summer, fall and winter, dead of the small pox and camp diseases, are enough to make the heart of stone to melt away! The sexton told me that upwards of two thousand soldiers had been buried there, and by the appearance of the grave and trenches, it is most probable to me that he speaks within bounds. To what causes this plague is to be attributed, I don't know--disease had destroyed ten men for us where the sword of the enemy has killed one!" 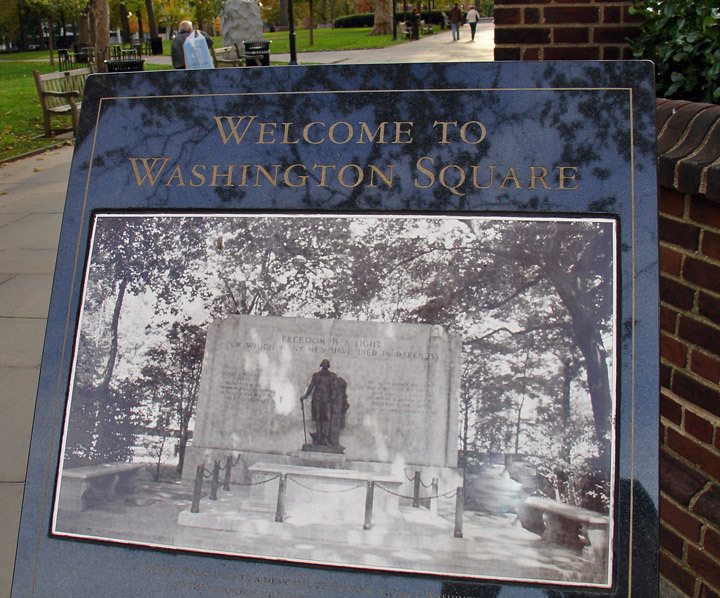 By 1778, Washington Square would be the last barracks for the thousands of soldiers who died in Philadelphia. 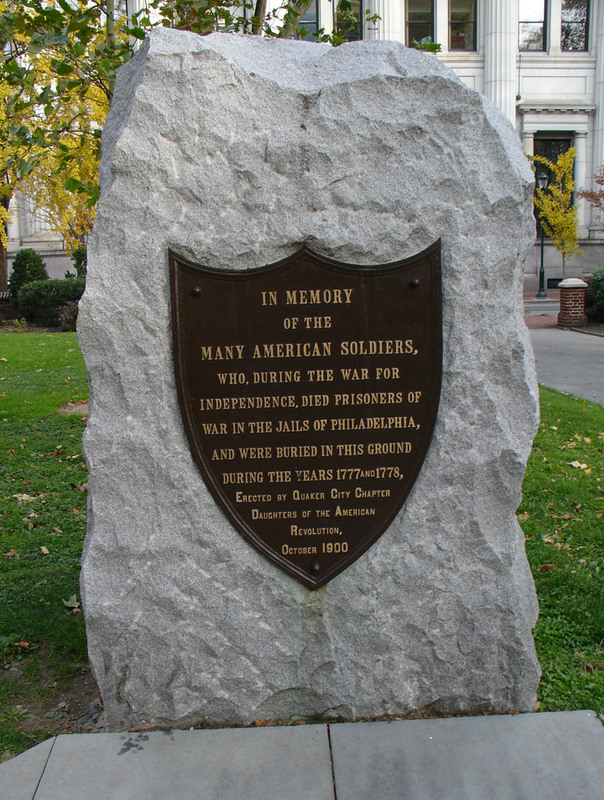 Though not much fighting occurred in Philadelphia during the War, plenty of dying did. 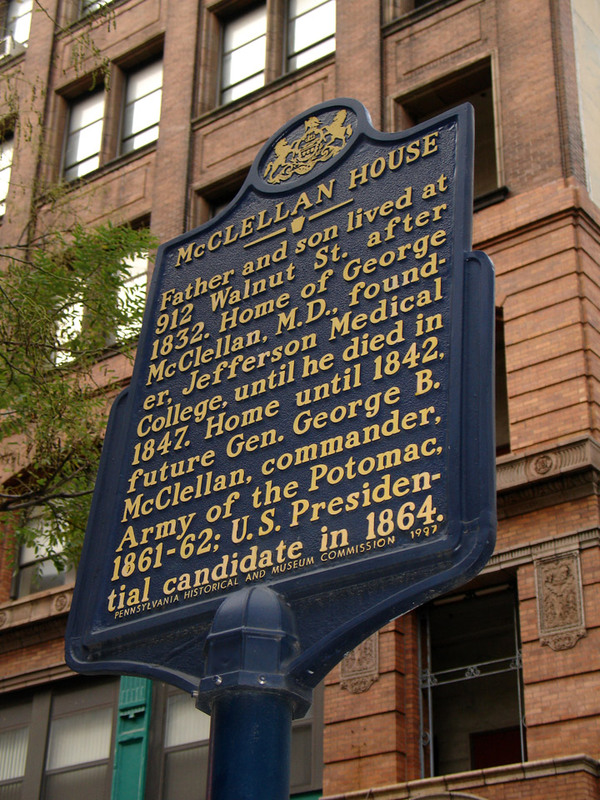 Those wounded in nearby battles, or those sick with disease would be brought to Philadelphia. 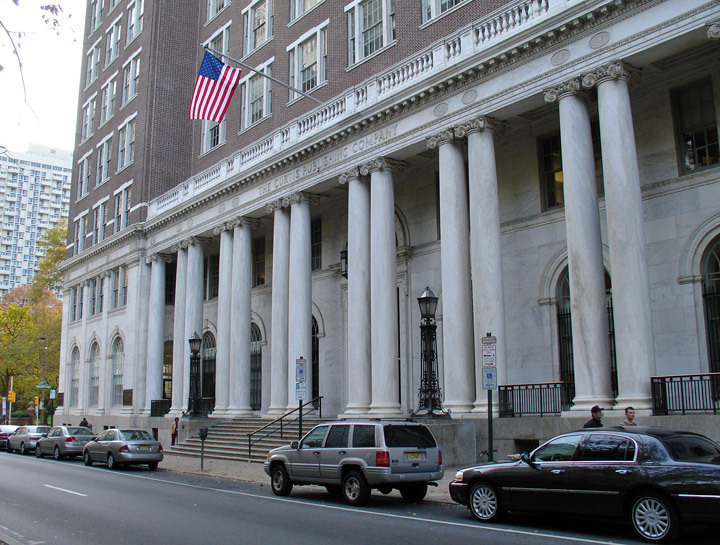 Pennsylvania Hospital and the Bettering House for the Poor filled quickly. Churches became ad-hoc hospitals. And during the British occupation of Philadelphia in 1777, the Walnut Street Jail became a Dantesque vision of hell. Historian Watson interviewed a survivor of the Walnut Street Jail some years after the War's end. The veteran, Jacob Ritter, recalled that prisoners were fed nothing for days on end and were regularly targets of beatings by the British guards. The prison was freezing as broken window panes allowed snow and cold to be the only blankets available to the captives. Ice, lice, and mice shared the cells. Desperate prisoners dined on grass roots, scraps of leather, and "pieces of a rotten pump." Rats were a delicacy. Upward of a dozen prisoners died daily. They were hauled across the street and slung in unmarked trenches like carcasses from an abattoir. The Colonials reoccupied Philadelphia in 1778 and became the jail keepers at Walnut Street. No doubt a Millgram (where prisoners became the guards) atmosphere prevailed when the prisoners got to run the jail. Suffice it to say, many bodies of British soldiers also are interred in Washington Square, sleeping far from Albion's shores. In 1793, the square once again served as a mass graveyard — this time for wracked, malodorous victims of the 1793 Yellow Fever epidemic. Philadelphia was literally decimated by this epidemic: about 5,000 of Philadelphia's 50,000 residents were taken by the Aedes mosquito. Washington Square was once again pockmarked by stench-filled trenches. After the square stopped functioning as a cemetery, a beautifying campaign was undertaken. 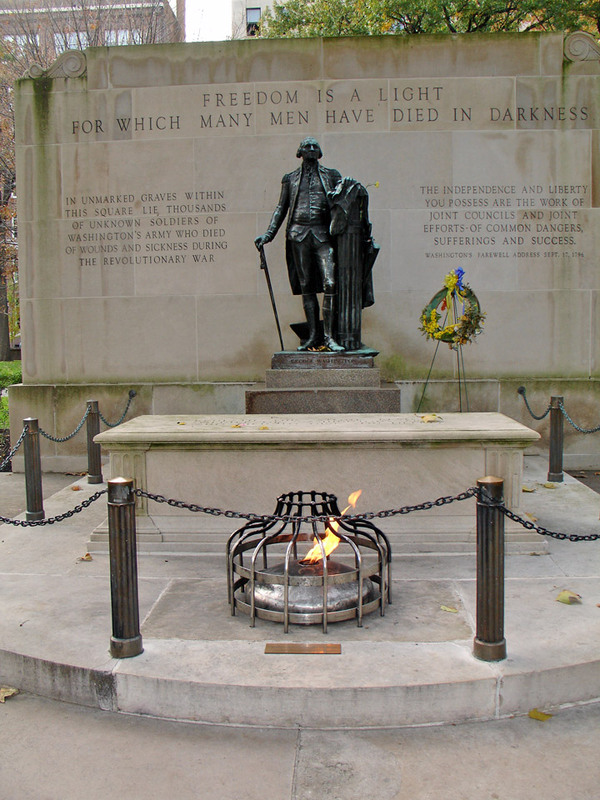 In 1825, the Square was renamed in honor of George Washington, commander of many of the troops buried within it. 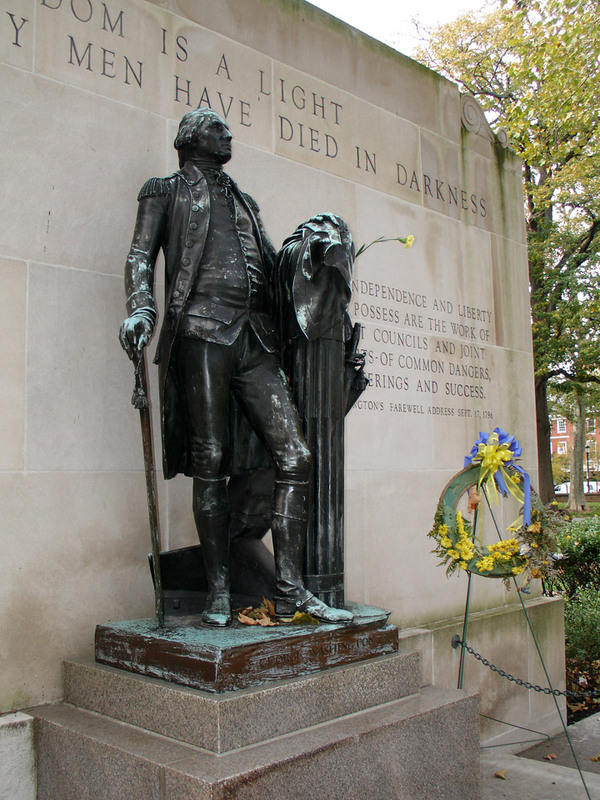 In 1954, the Washington Square Planning Committee decided to erect a memorial that honored both George Washington and an unknown soldier from the Revolutionary War. There was a catch, however — culling a Colonial soldier from this unmarked golgotha. In 1956 an archaeological team was brought in. They dug nine holes mostly in the northwest quadrant of the square. The first bodies the archaeologists discovered belonged to three paupers, identifiable as such by canvas sheets serving as their grave clothes. Some exploratory holes found single graves, not the mass trenches which were being looked for. Finally, a mass grave was found. Within they found the undisturbed remains of a male about twenty years old within the vestiges of an oak coffin. The skull had evidence of a "plow wound" which could have been caused by a musket ball. This would be the body used for the unknown soldier. Though the archaeologists and historians were fairly certain that this disinterred body was that of a Revolutionary War soldier, one vexing question still remains: Was the body that of a British soldier or a lad who had just started calling himself by a new name — American? 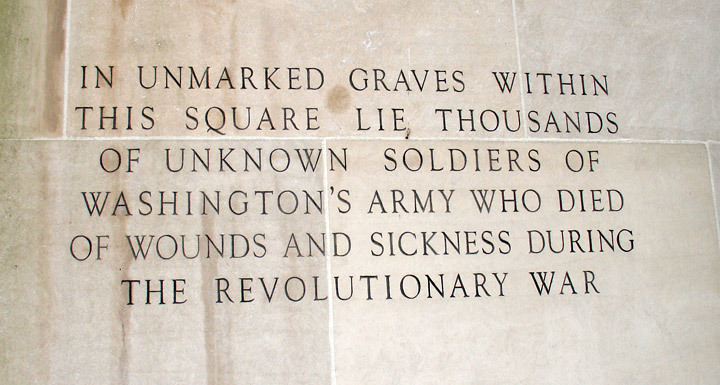 Various messages engraved on the wall of the memorial include: "Freedom is a light for which many men have died in darkness"; "The independence and liberty you possess are the work of joint councils and joint efforts of common dangers, suffering and success [Washington Farewell Address, Sept. 17, 1796]"; and "In unmarked graves within this square lie thousands of unknown soldiers of Washington's Army who died of wounds and sickness during the Revolutionary War." The tomb of the Unknown Soldier itself bears the words: "Beneath this stone rests a soldier of Washington's army who died to give you liberty." An eternal flame flickers in front of a wall bearing a replica of Jean Antoine Houdon's famous bronze sculpture of George Washington. Washington's eyes gaze eternally upon nearby Independence Hall. 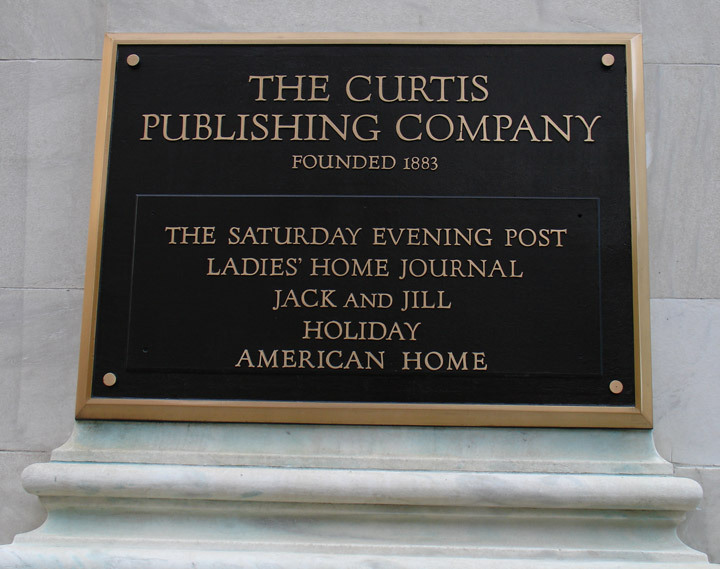 Directly across the north side of Washington Square is the Curtis Publishing Company building, formerly the home of The Saturday Evening Post, The Ladies' Home Journal and Country Gentleman magazines. Inside the lobby is "The Dream Garden," a spectacular glass mosaic of 260 different color tones made for Curtis by the Louis C. Tiffany Studios. It was based on an original painting by Maxfield Parrish. 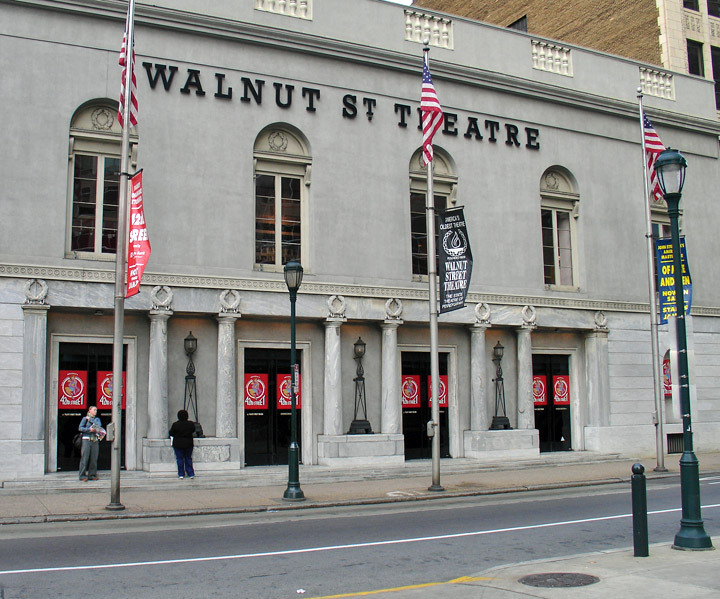 At 9th and Walnut is the Walnut Street Theatre, the walls of which make it the oldest theatre in the U.S. 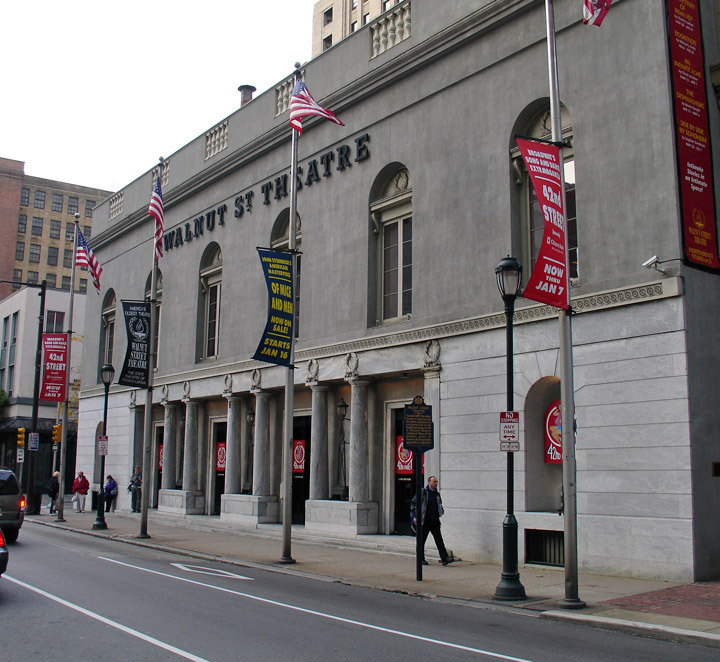 It was first opened in 1808 as the New Circus, in 1811 a stage was added and it was renamed the Olympic, and the first play, Richard Brinsley Sheridan's The Rivals, opened on January 1, 1812. In 1820 it was given its present name. Edwin Forrest made his debut here; Edmund Kean, Edwin Booth, the Four Cohans and Ethel Barrymore all played here. 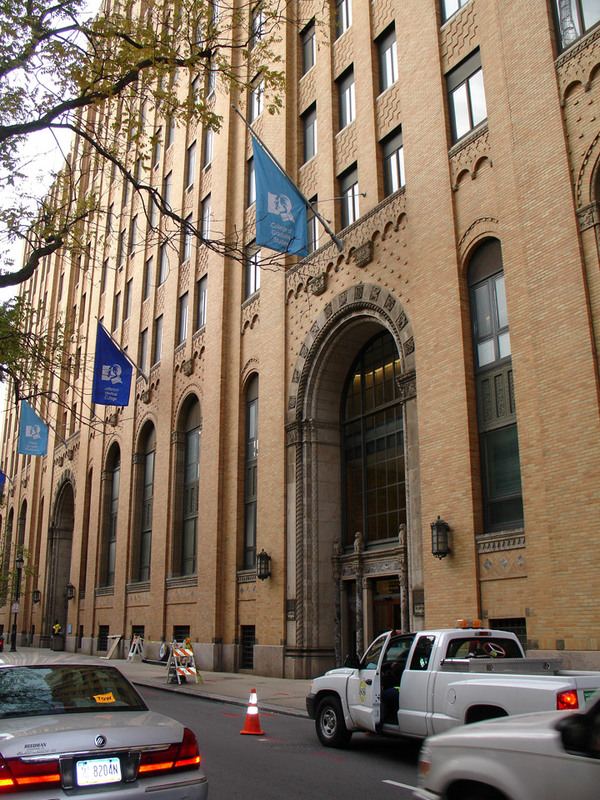 The interior was remodeled in 1920 and in the 1970s the facade was restored to look like the John Haviland original.